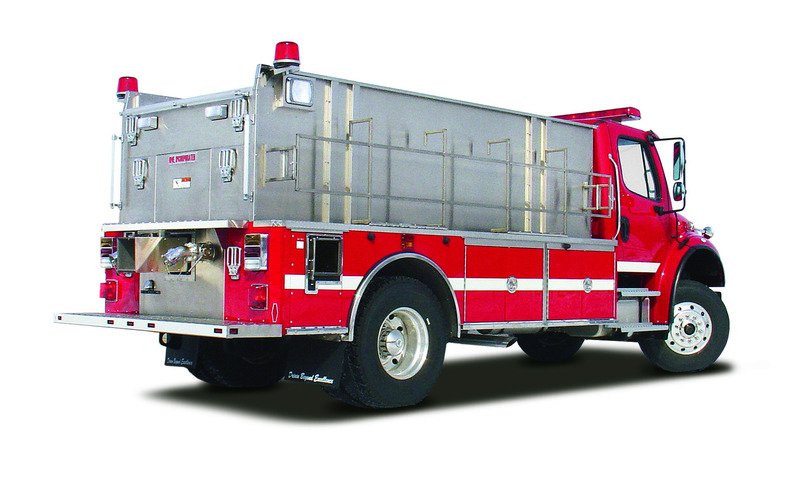 The WOLF offers high-performance functionality and water carrying capacity in a rugged and economical commercial tanker design, made for rural operations. 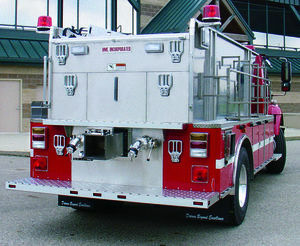 A 2,000-gallon tank, PTO pumps capable of delivering 500-GPM to 750-GPM performance, storage systems and racks for portable water tank systems, plus compartments for rescue equipment and tools, the WOLF offers both tanker support capability along with rural attack truck functionality. 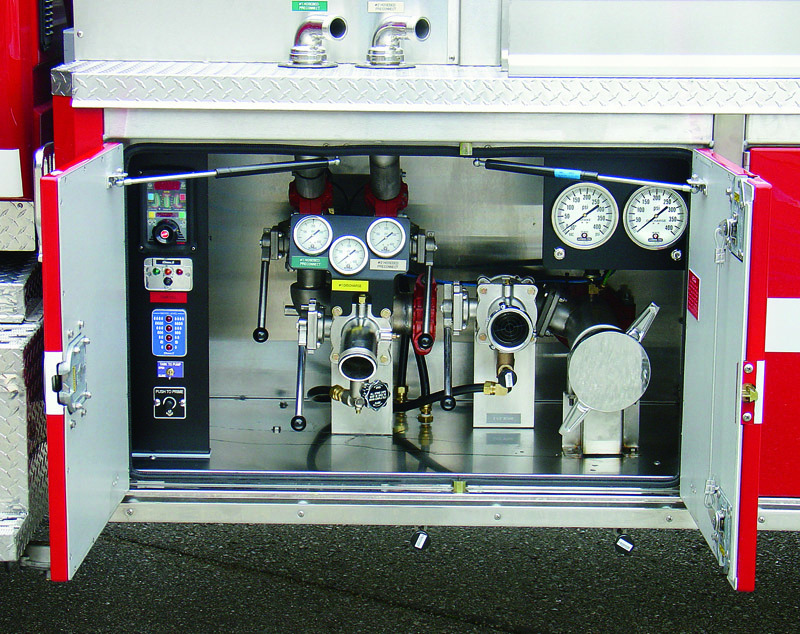 The WOLF incorporates the same integrated suspension control system technology found on all HME Ahrens-Fox Tankers. The stability control system reduces the risk of roll-over common in high-center-of-gravity apparatus. The corrosion resistant, stainless steel body features modular, aircraft quality construction. 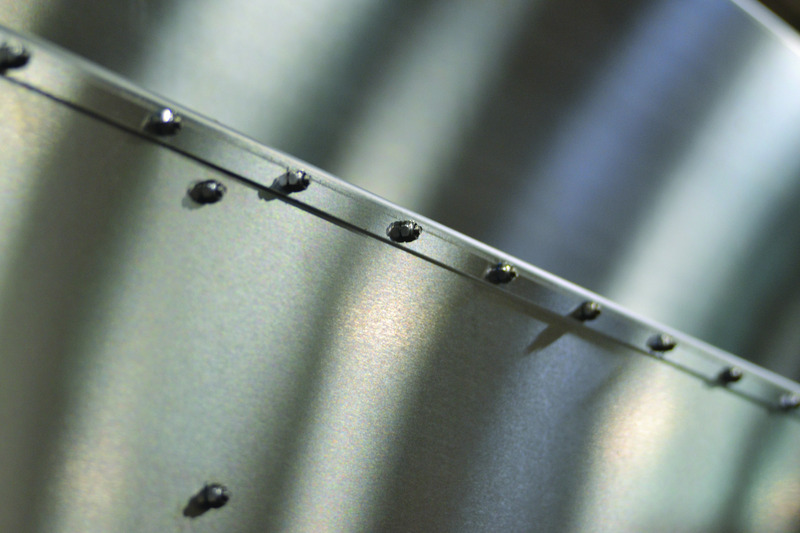 While the stainless steel construction offers easy maintenance, and years of flawless service, the modular construction provides easy and economical repairs, with limited downtime. 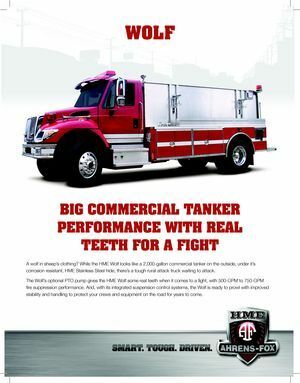 Proven commercial tanker chassis and drive train. HME custom chassis options available. 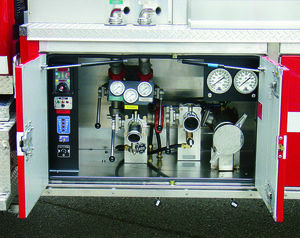 PTO pump delivers 500-GPM to 750-GPM performance. Advanced HME integrated suspension control system provides stability and improved handling. Corrosion resistant HME stainless steel body deliver years of easy maintenance and extended service life. 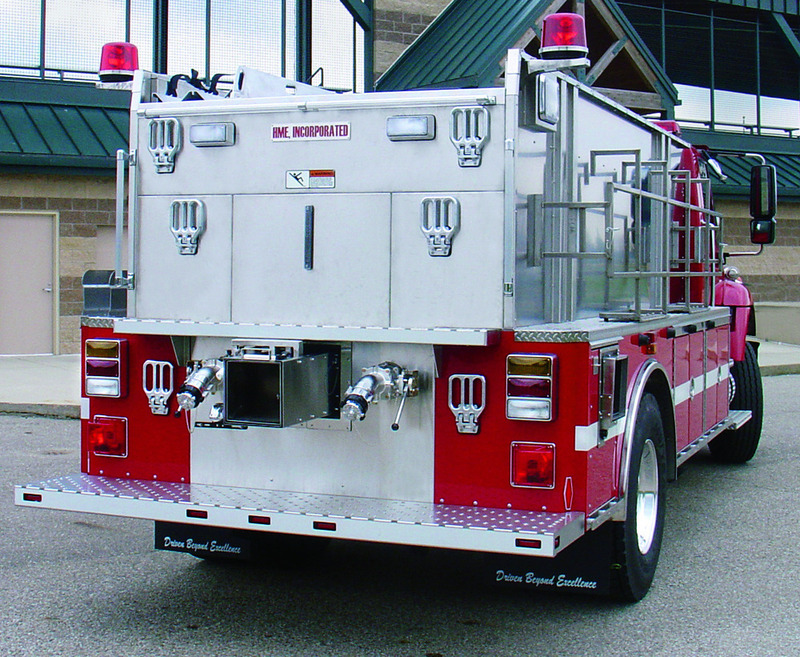 Functionality to operate as a dedicated rural attack truck. Storage Racks for Portable Water Tanks.